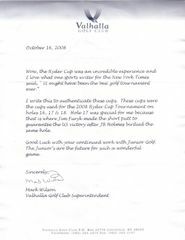 This is the original 2008 Ryder Cup used metal cup liner from the 18th hole on Valhalla where the USA finally defeated the Europeans to win the Ryder Cup for the first time since 1999. 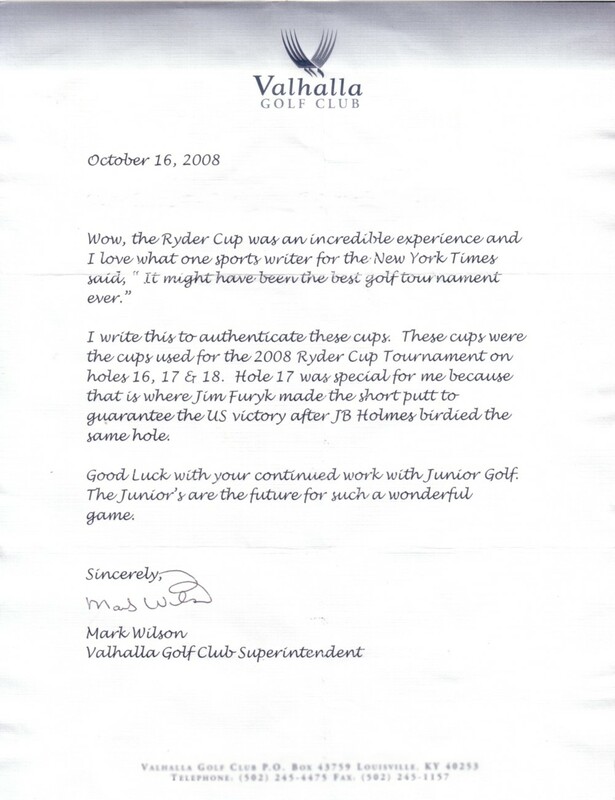 This cup liner comes with a copy of a letter of authenticity from Valhalla golf course superintendent Mark Wilson and certificate of authenticity from AutographsForSale.com. U.S. Ryder Cup Team Captain Paul Azinger autographed the cup liner in green marker and added the inscription 2008 Ryder Cup Captain to his signature. Obviously this is an extremely unique piece of golf history.